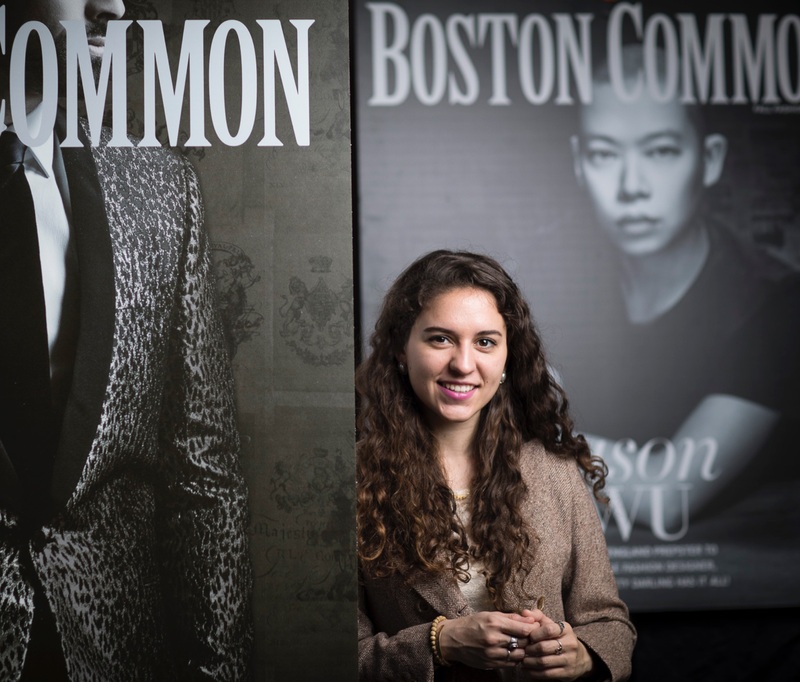 Many colleges talk about being "in the Boston area," but Emmanuel is at the city’s very heart. For our students, this means unparalleled access to world-class internship opportunities, cultural experiences, entertainment, recreation and more—a global classroom, right outside campus gates. 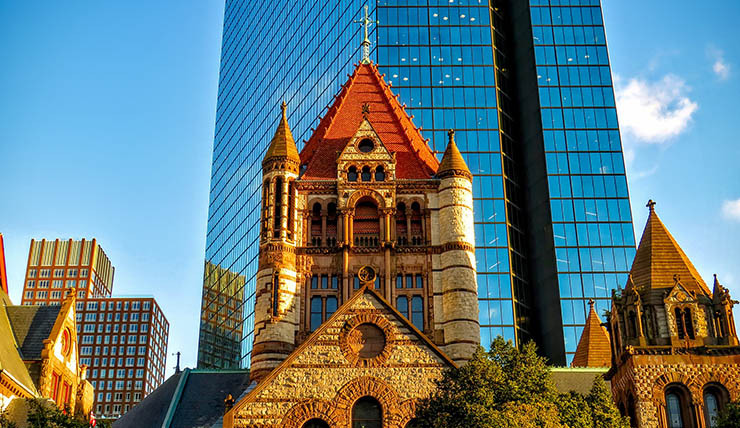 More than outstanding scholars, Emmanuel faculty are collaborators and Boston is renowned for its mix of long-established institutions and vibrant startup culture. 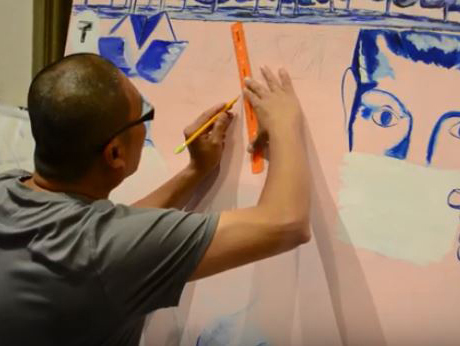 Here, the possibilities for cultivating real-world, hands-on experience are nearly limitless. 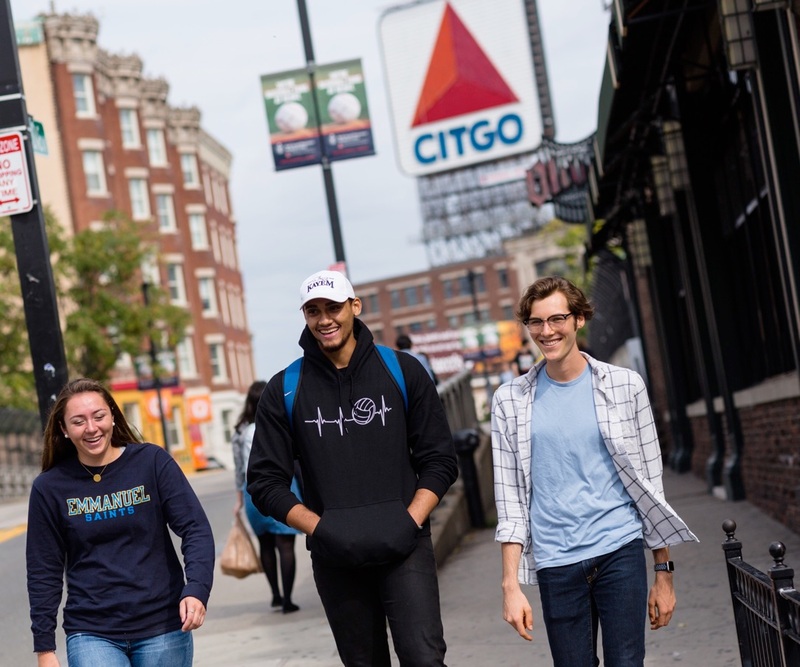 A short walk or ride on the "T" places students at the doorsteps of dozens of industry-leading organizations in areas of research, technology, finance, media, healthcare, social service and more. 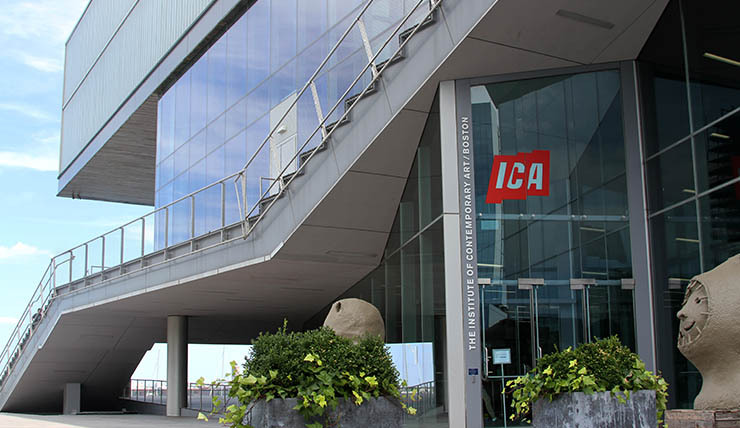 Here, they obtain internship and career opportunities that students and graduates in other cities may only ever aspire to experience. Emmanuel’s home in the heart of the city is a huge part of the student life experience. In a cultural capital as dynamic as Boston, there is always something new to see or an old favorite to revisit. 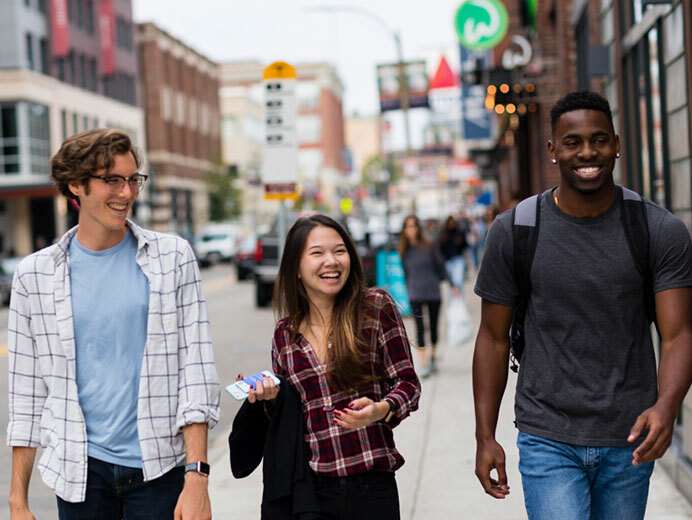 Our students enjoy all city life has to offer—exhilarating games and hard-won championships by our hometown sports teams, tons of green space and waterfront views, celebrated works of art, music and theater, and of course, some of the best food in the country. Emmanuel's home base in the heart of the Fenway neighborhood is a comfortable haven in the midst of Boston's buzz. 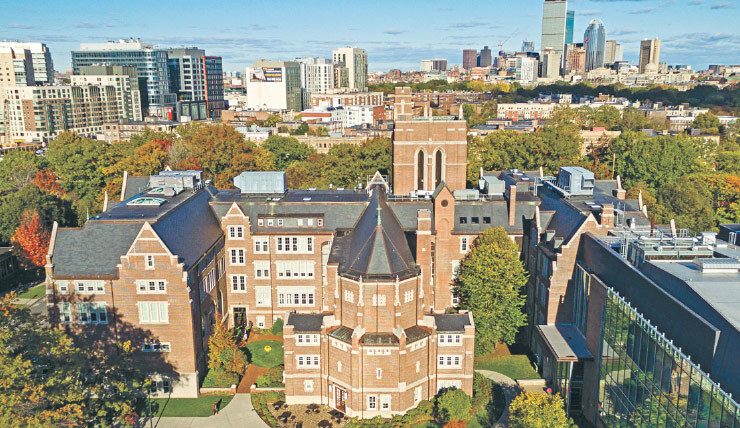 From the historic Administration Building to the innovative Wilkens Science Center and the dynamic Jean Yawkey Center, Emmanuel's campus is a place that continues to build on its nearly 100-year history, while looking boldly to the future. This thriving community of medical, academic and research organizations merge to create a powerful engine of innovation and healthcare across just a handful of city streets. 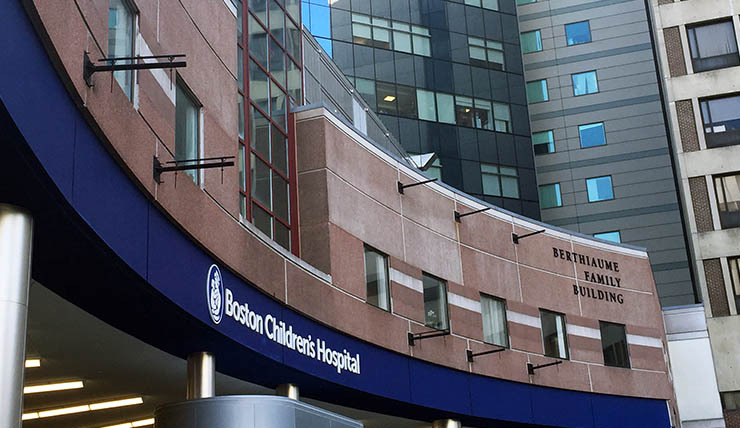 Leading organizations include Beth Israel Deaconess Medical Center; Boston Children's Hospital; Brigham & Women's Hospital; Dana-Farber Cancer Institute; Harvard Medical School, School of Dental Medicine and T.H. 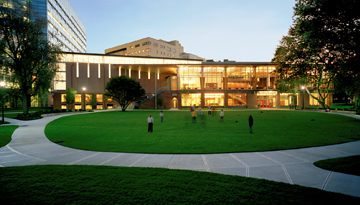 Chan Institute of Public Health; Joslin Diabetes Center and Merck Research Laboratories Boston. While the museum may be best known for the 1990 theft of 13 works by world-renowned artists, this neighborhood treasure a few doors down from Emmanuel's campus offers an immersive experience with installations created by Gardner to evoke an emotional response in visitors. (And if your name is Isabella, you get in free. Or you could just show your Emmanuel ID.) 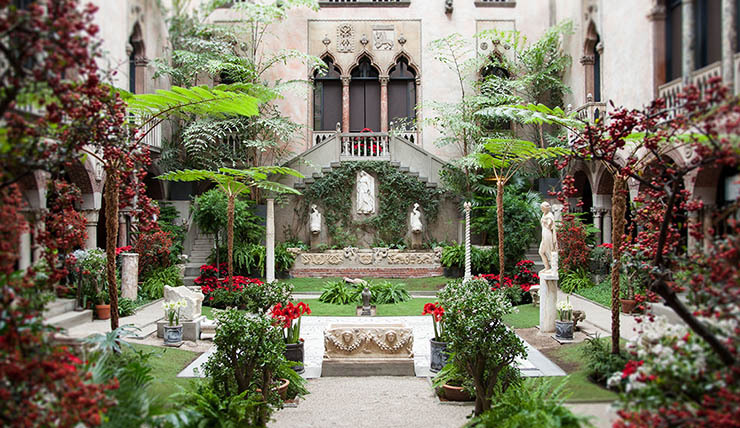 Photo: © Isabella Stewart Gardner Museum. 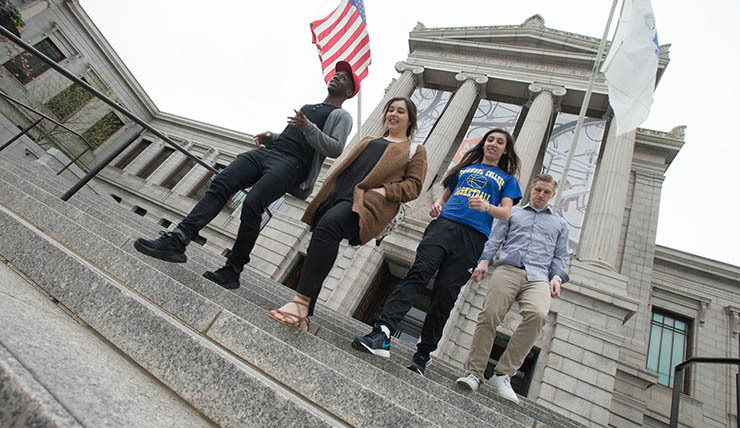 It's a good thing the MFA is just a 10-minute walk from campus-experiencing the museum's collection of more than 450,000 objects (including works by Sargent, Goya and Monet, as well as Egyptian artifacts, Chinese calligraphy and a diverse array of special exhibits) will take more than one visit. Emmanuel students are admitted for free. 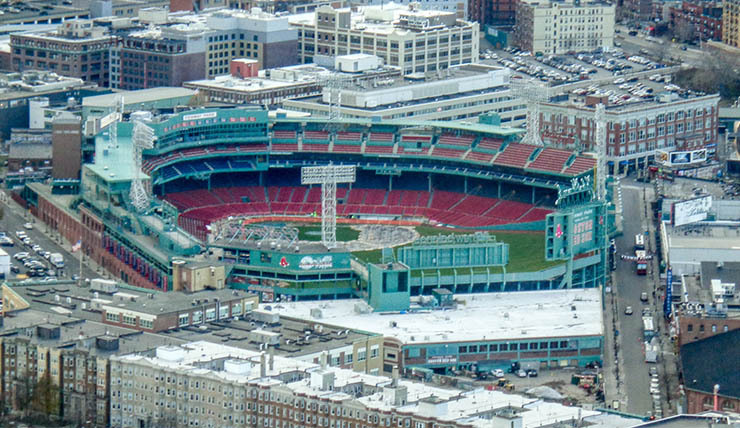 How close is Fenway Park to Emmanuel's campus? 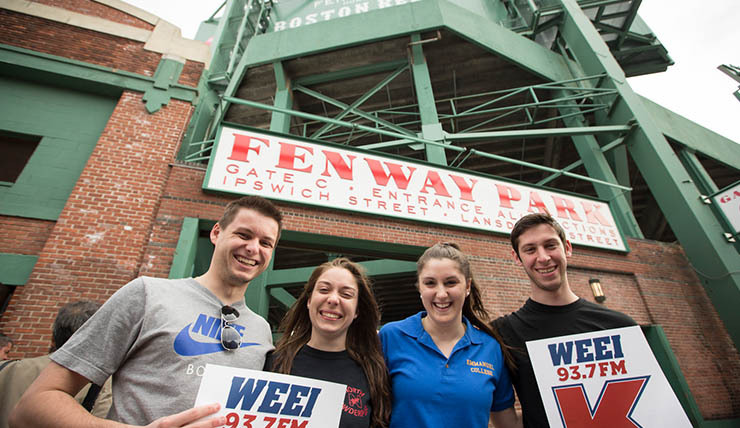 Students have said they can hear the road of crowds and music from off-season concerts from 400 The Fenway. Even if you don't come to Emmanuel a Red Sox fan, the energy surrounding "America's Favorite Ballpark," is infectious, and you may find yourself root, root, rooting for the home team before you know it. Imagine your local music "club" hosting everyone from Bob Dylan to Chance the Rapper. 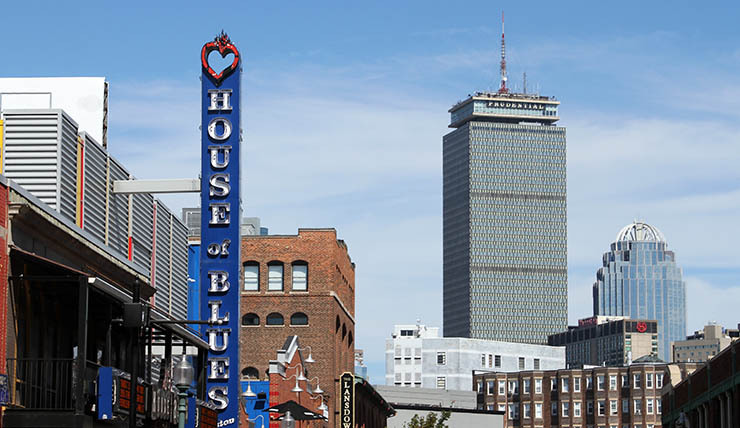 The Boston-branch of this storied performance venue hosts worldwide sensations and local up and comers-within walking distance of campus. The Fenway-Kenmore neighborhood is teeming with development and quickly becoming a diverse economic engine of sports, entertainment, hospitality, and education, cultural and nonprofit organizations. Fenway Park, Fenway Health, the Massachusetts Historical Society, House of Blues Entertainment, Museum of Fine Arts Boston, the Emerald Necklace Conservancy and more than a dozen prominent institutions of higher learning. 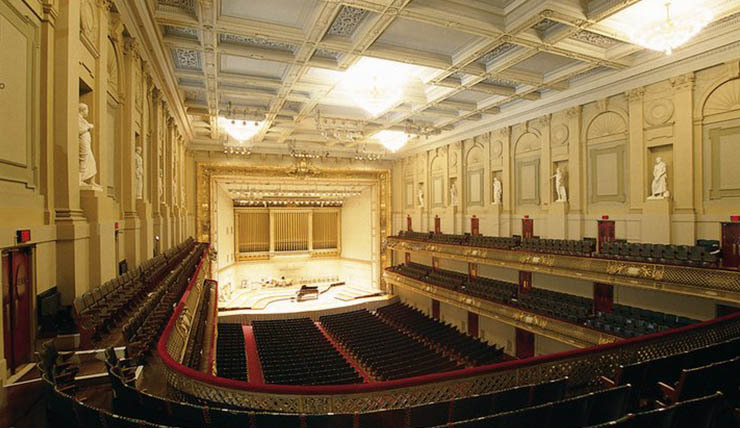 Widely regarded as one of the top concert halls in the world, this U.S. National Historic Landmark is the premier location to hear the Boston Symphony Orchestra perform works by Haydn, to view a screening of a classic movie alongside a live score by the Boston Pops, or just to dress up and have a fancy night on the town. Photo ©Boston Symphony Orchestra. Three words: Shop. Eat. Repeat. 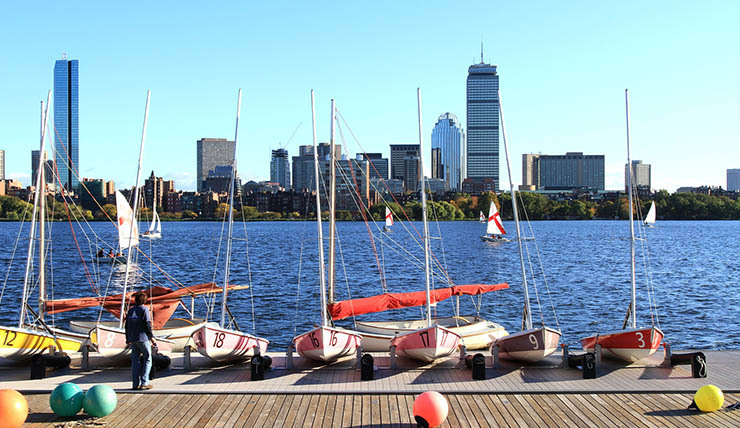 If you're looking to spend some time on the water, the Charles River is great for recreational canoeing, paddleboarding and sailing. For those looking to stay dry, the Esplanade offers a bike and walking path with scenic views-as well as a place to sit, picnic and people watch. The Back Bay features distinguished landmarks along Boston's "High Spine" of skyscrapers-including the Prudential Tower, 200 Clarendon Street (formerly, the John Hancock Tower) and the Hynes Convention Center. 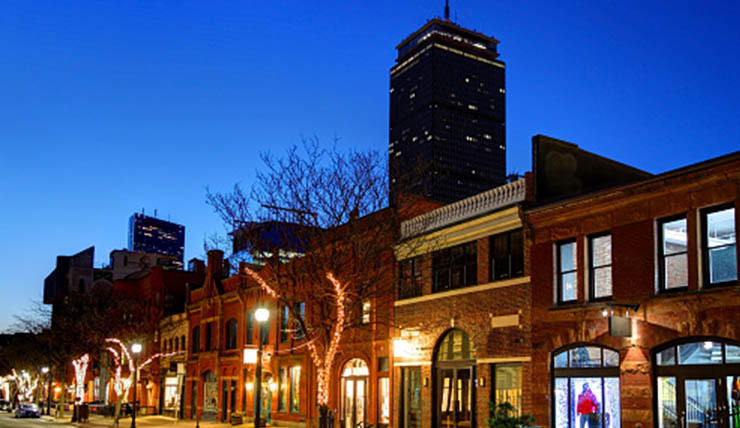 Though well known for its rows of Victorian brownstones and as a luxury shopping destination, the Back Bay boasts such companies as Blue Cross Blue Shield of Massachusetts, Boston Properties, Wayfair, EY, Deloitte, 360 Public Relations, Workbridge Associates and more. 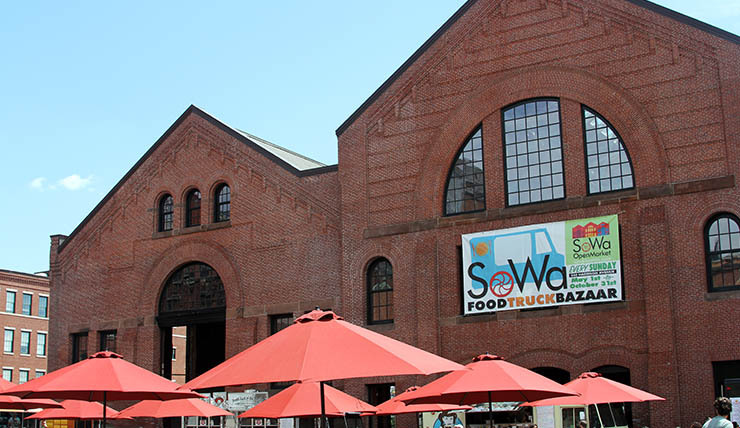 The South End (particularly the SoWa art and design district) is a vibrant community of artist studios, galleries, boutiques restaurants that make good use of once neglected warehouses. The weekends offer open markets with artisan jewelry and crafts, locally-grown produce and a collection of the city's best food trucks. There are worse ways to spend a Sunday morning. Once of a hub of shipping activity, and then a barren wasteland of parking lots surrounding the U.S. District Courthouse in the 1990s, the Seaport-and neighboring South Boston-is now home to the national headquarters of such giants as Gillette, Boston Beer Company, Vertex Pharmaceuticals, and in 2019, General Electric. Also known as the "Innovation District," the sleek new office buildings attract myriad tech startups and creative agencies, as well as leading names like PwC. Cross the Fort Point Channel to visit the booming Seaport District, with premier restaurants, retailers and the scenic HarborWalk at Fan Pier, exhibitions by leading and emerging artists at the Institute of Contemporary Art (ICA), and a variety of shows-with a view of the Boston Harbor-at the Blue Hills Bank Pavilion. As the name suggests, the Financial District is home to numerous and notable banks, accounting firms, investment groups, law firms and more, including Brown Brothers Harriman, the Commonwealth Financial Group, Eastern Bank, Fidelity Investments, Liberty Mutual, Loomis Sayles & Co., Putnam Investments and local headquarters of companies such as Bank of America and Merrill Lynch. 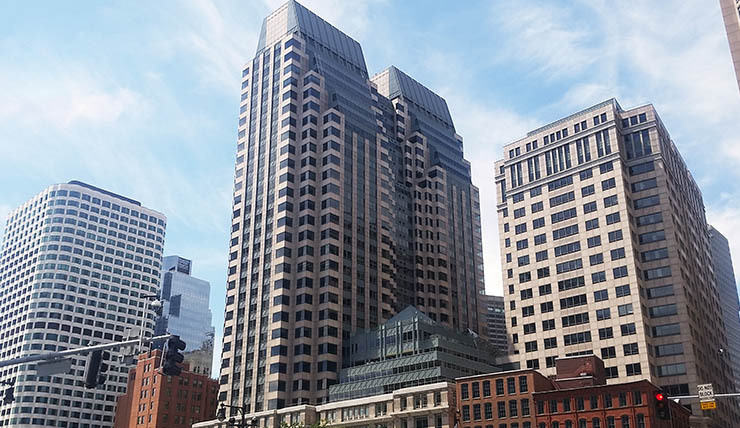 In 2017, the Boston Globe also returned to its roots downtown after nearly 60 years in South Boston. Once a meeting hall and public platform for Samuel Adams and other catalysts of the American Revolution, Faneuil Hall is still occasionally used as a backdrop for U.S. politics, but its day-to-day activities draw crowds from across the globe to see its eclectic street performers, 100+ retailers and wide variety of restaurants and international food vendors. 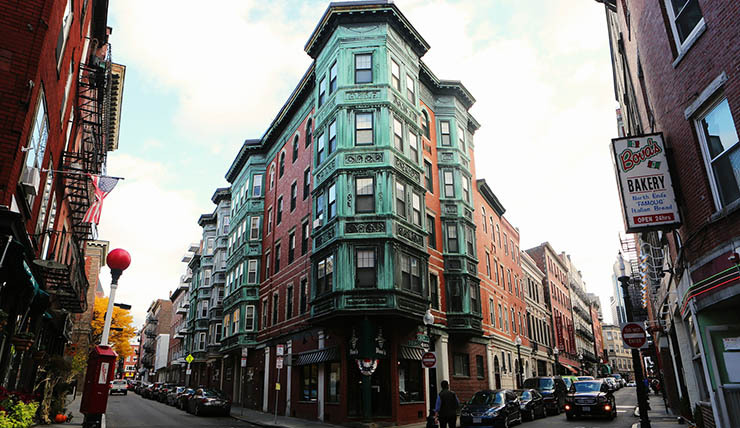 The North End of Boston is a hotspot for Boston tourism, hosting approximately four million visitors at meticulously preserved and curated landmarks that keep the city's rich history alive. 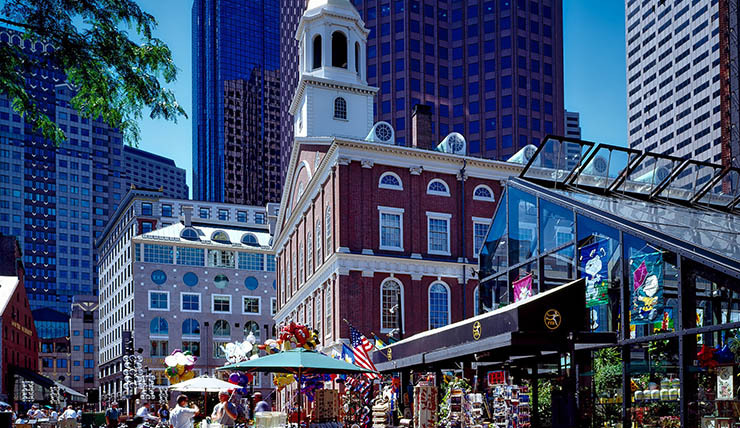 Along the Freedom Trail, sites include the Revolutionary War-era Old North Church and the Paul Revere House. 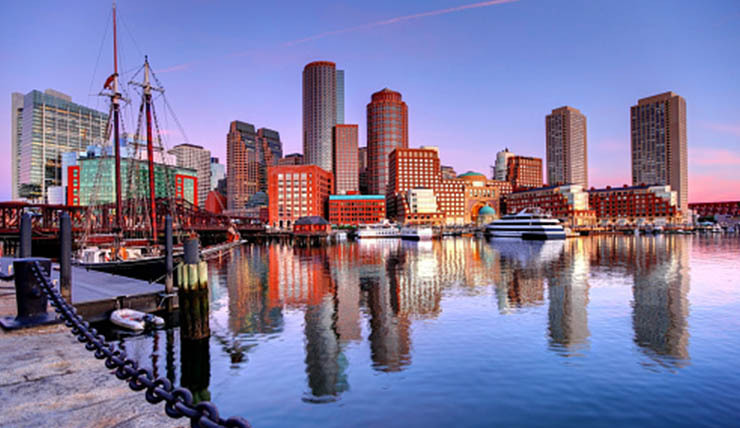 The area is also becoming a premier location for internationally-known brands-Nike-owned Converse opened their global headquarters in Lovejoy Wharf in 2015. 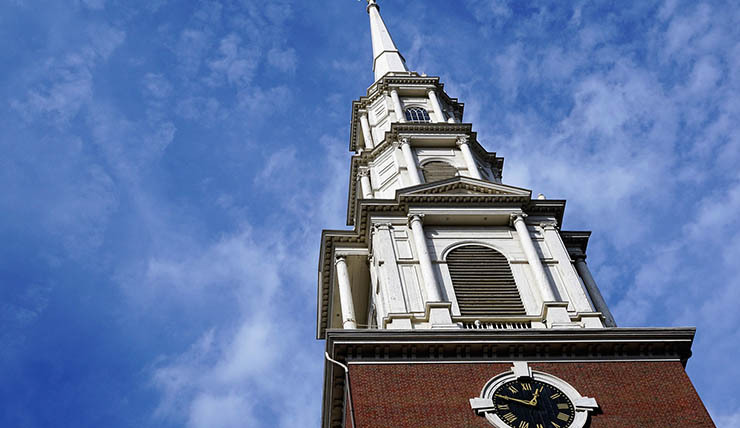 Boston's oldest residential community is also home to some of the city's most storied historical sites, including the Old North Church, Paul Revere House, Union Wharf and sections of the Freedom Trail. Plenty of park space, public art installations, waterfront views, and scores of Italian food make this quick trip on the Green Line a must-do. 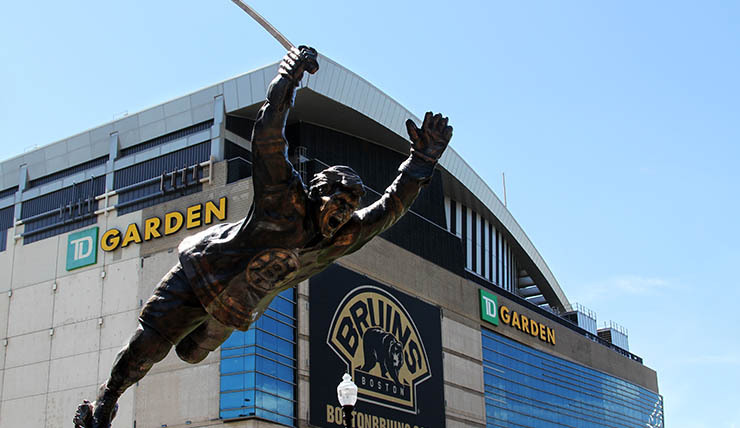 If you need a sports fix during the Red Sox offseason, head to the TD Garden to catch the Boston Celtics and the Boston Bruins at their home base. The arena also regularly hosts concerts by music's biggest names and specialty athletic events from the UFC, WWE and the ISU. 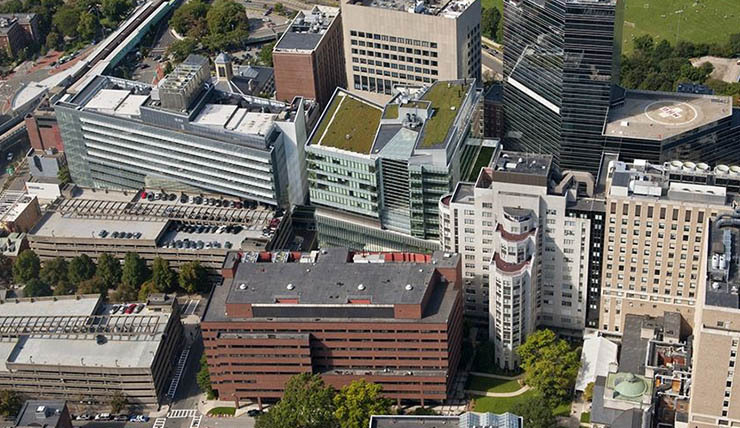 The West End of Boston is anchored by the sprawling campus of Massachusetts General Hospital, which boasts nearly 30 buildings and several thousand employees. 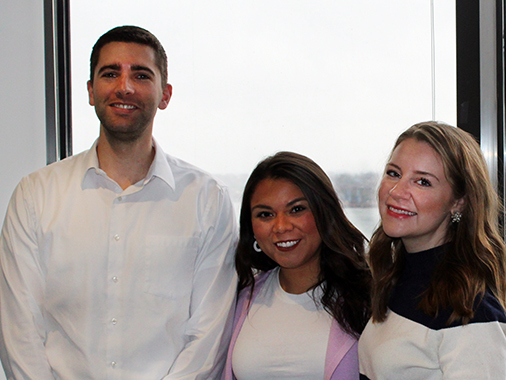 Other notable companies and organizations include Bay Cove Human Services, Boston Cares, Boston Municipal Court, the Massachusetts Commission on the Status of Women, Museum of Science Boston, Matter Communications, Shriners Hospitals for Children and TD Garden. 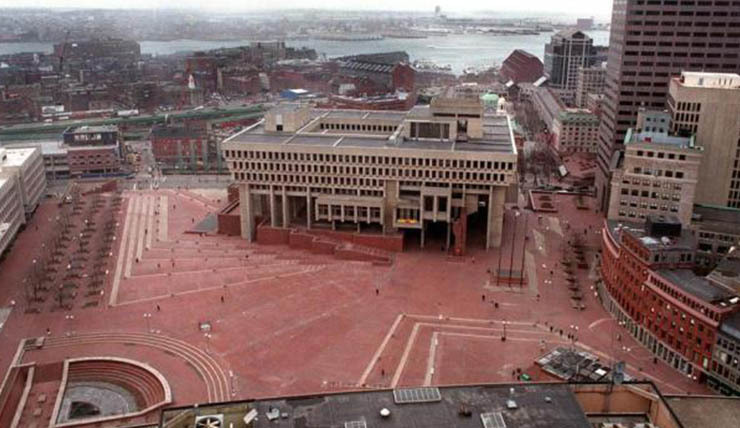 Centered on City Hall Plaza, Government Center is a hub of courthouses, and state and federal office buildings that employ individuals across myriad professions. The John F. Kennedy Federal Building alone is home to offices such as U.S. Citizen and Immigration Services, the Department of Health and Human Services, the Department of Labor, the Department of Veterans Affairs, the Internal Revenue Service, Immigration Court, Social Security Administration, Homeland Security and more. Photo: boston.gov. 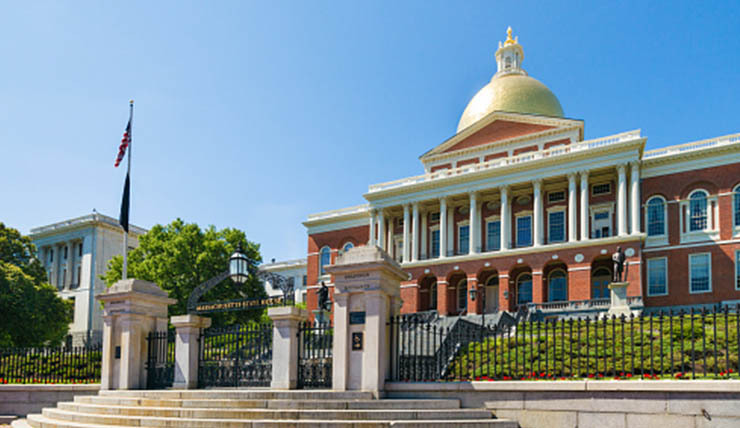 Underneath the gilded gold dome that tops the Massachusetts State House resides the offices of the Governor of Massachusetts and the legislative bodies of the Massachusetts General Court. 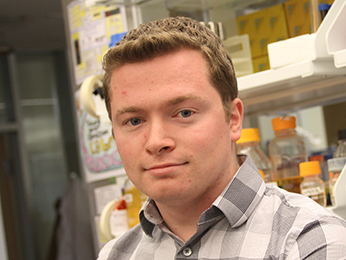 Other notable nearby institutions include the Massachusetts Department of Public Health, Mass Insight Global Partnerships, Beacon Hill Staffing Group, Tufts Medical Center, Suffolk University and WHDH-TV. 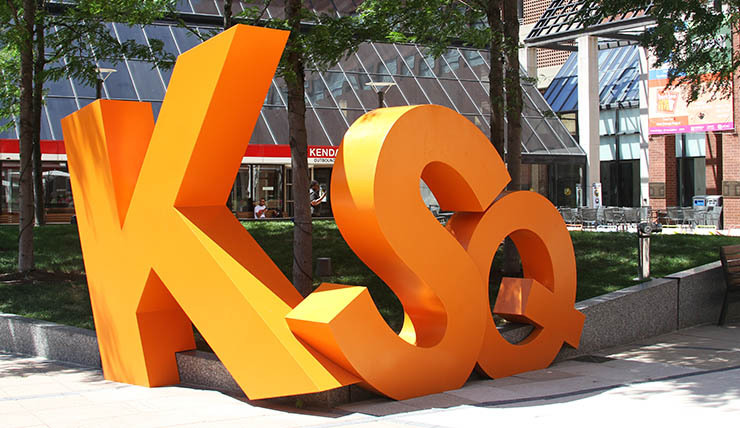 The greater Kendall Square area of Cambridge is globally known as a center for innovation and research, particularly in biotechnology and the life sciences, with such companies as Biogen, the Broad Institute, Genzyme, Novartis and Pfizer calling the area home. 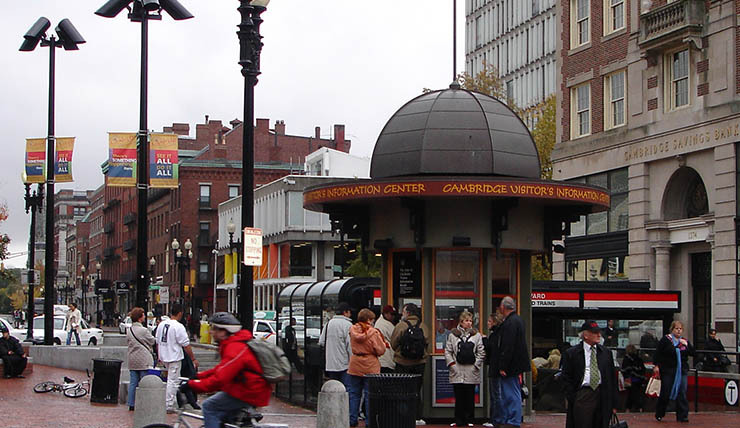 The area also benefits from ideas born and realized by students and faculty at the Massachusetts Institute of Technology (Akamai Technologies, Cambridge Innovation Center, Mass Innovation Labs, Hubspot) as many plant their roots in the place they were founded. Just over the river is a city notable for more than just being home to the oldest institution of higher learning in the United States. 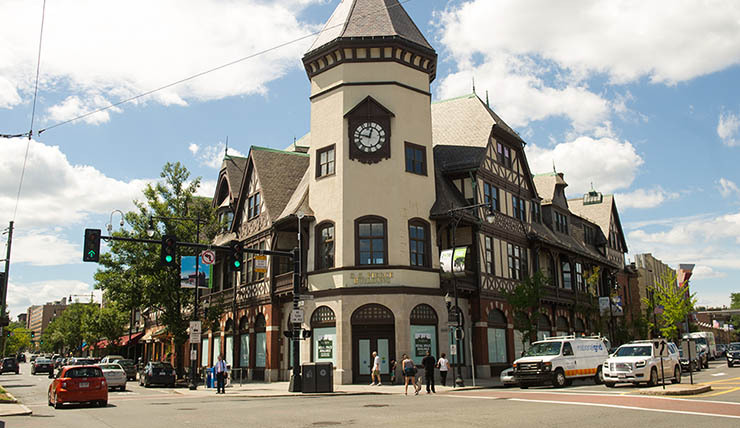 The "City of Squares" is also home to vibrant neighborhoods including Harvard Square, Central Square, Porter Square, Inman Square, and more-each smaller hubs of shops, restaurants and performance venues that reflect the diversity of the residents that call them home. 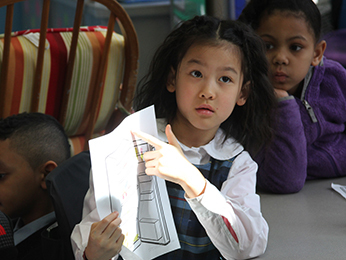 The proximity to campus and abundance of public and private primary and secondary schools makes the town of Brookline and ideal place for aspiring teachers to hone their skills with diverse student bodies in a variety of classroom settings. The Brookline District Court and Norfolk District Attorney's Office provide great career options in criminology, political science and law.